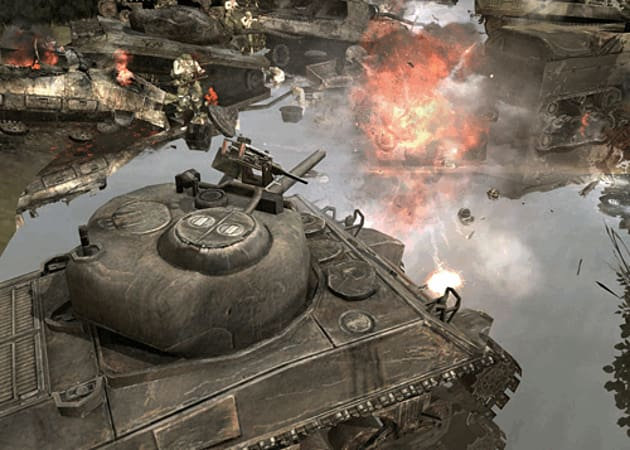 Company of Heroes: Opposing Fronts The next chapter in the #1 rated RTS franchise thrusts players into a hellish war torn landscape to command two battle-hardened armies in relentless campaigns for honor and country. 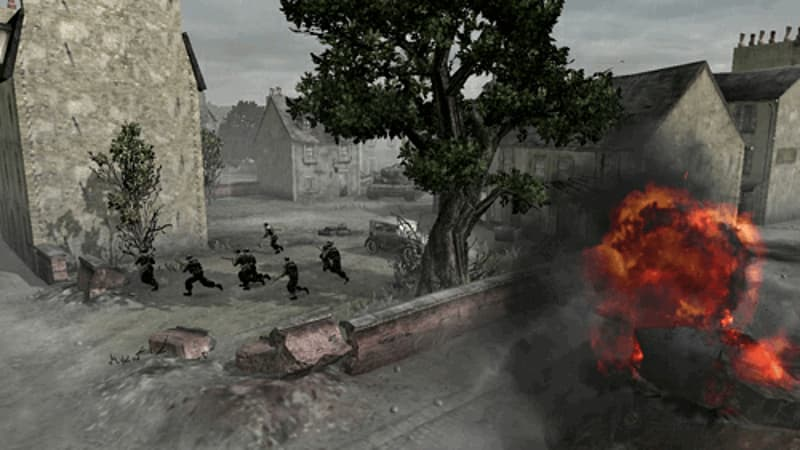 Players lead the tenacious British 2nd Army during the heroic World War II liberation of Caen, France, and command the German Panzer Elite as they struggle to repel the largest airborne invasion in history. Two New Armies - Play as the British 2nd Army or German Panzer Elite, each with devastating command trees options and unit upgrades. Two Full Campaigns - Command the British 2nd Army to liberate the key strategic position of Caen, France. 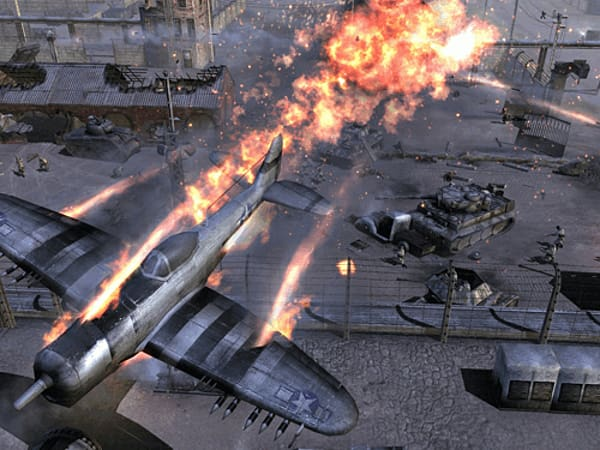 Control the German Panzer Elite to repel the Allied airborne invasion in Operation Market Garden. Real War, Real Battlefields, Real War Enhanced - Mission Persistence, Dynamic Weather Effects, Enhanced Vehicle Tactics and more deliver a new level of realism and all new battlefield tactics. 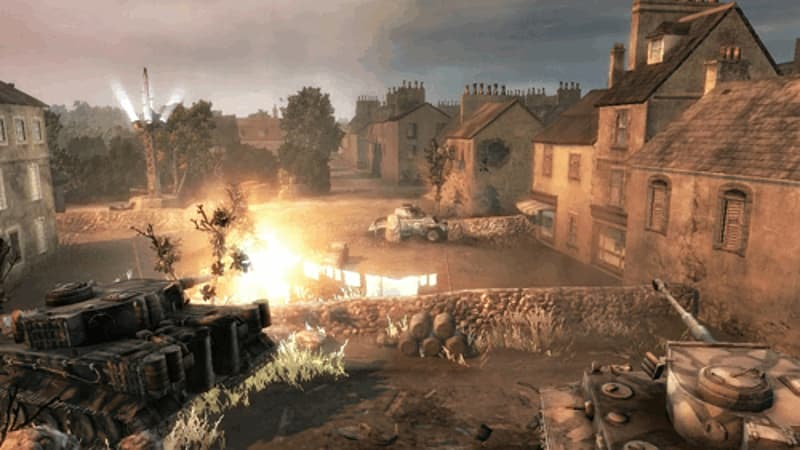 All new Multiplayer Options - Combine Company of Heroes: Opposing Fronts with the original Company of Heroes for a total of four playable armies online. Join British artillery with American armor to dominate the 3rd Reich or utilize Wehrmacht and Panzer Elite blitzkrieg tactics to annihilate the Allied invasion. DirectX 10 Support provides the most realistic RTS experience available with enhanced lighting and incredible terrain detail. 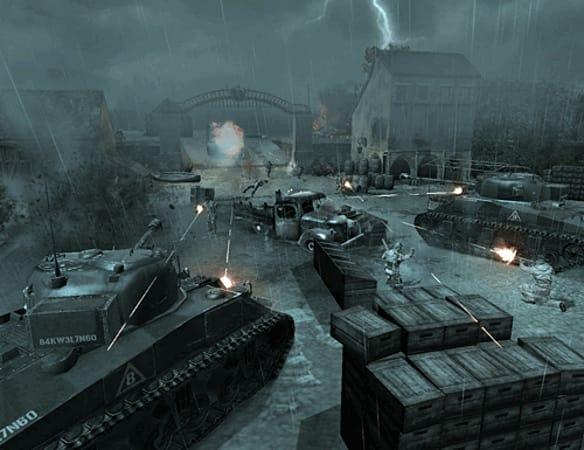 Company of Heroes: Tales of Valor Company of Heroes: Tales of Valor is the expansion to the Game of the Year winner and highest rated real time strategy franchise Company of Heroes. Featuring new campaigns to overcome, units to command, and battlefields to conquer, Company of Heroes: Tales of Valor delivers evolved gameplay mechanics and 3 episodic adventures including 9 new missions, 3 new Multiplayer Modes, and new abilities to master. 3 Immersive Storylines – Take command of key soldiers and experience how they helped turn the tide of battle in some of the most historic clashes of World War II. Episode 1 - Tiger Ace: Control Tiger Tank Ace Hauptmann Voss’s highly decorated Tigergruppen against the British 7th Armored Division on D-Day in one of the most famous tank battles of WWII. Episode 2 - Causeway: Command an American Paratrooper Company in the hours following the initial D-Day landings. Episode 3 - Falaise Pocket: Command the Wehrmacht Army as your soldiers try and hold off the advancing Allied army. 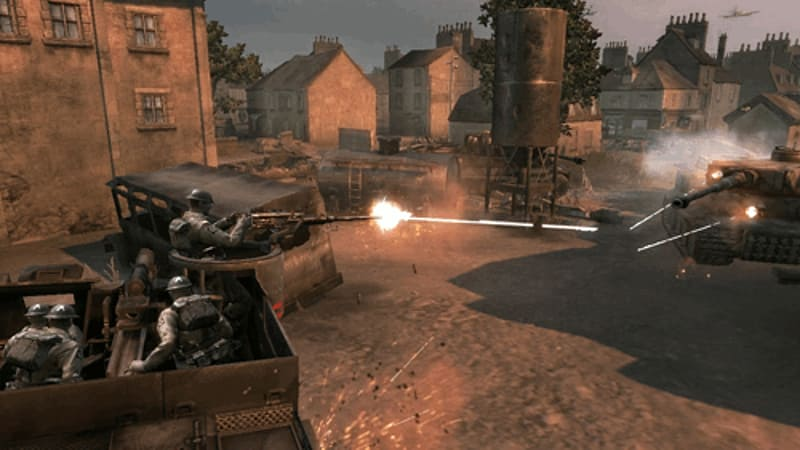 Direct Fire Control – Not only can the player’s tactical and strategic decisions influence the battle, but players also directly control units on the battlefield. 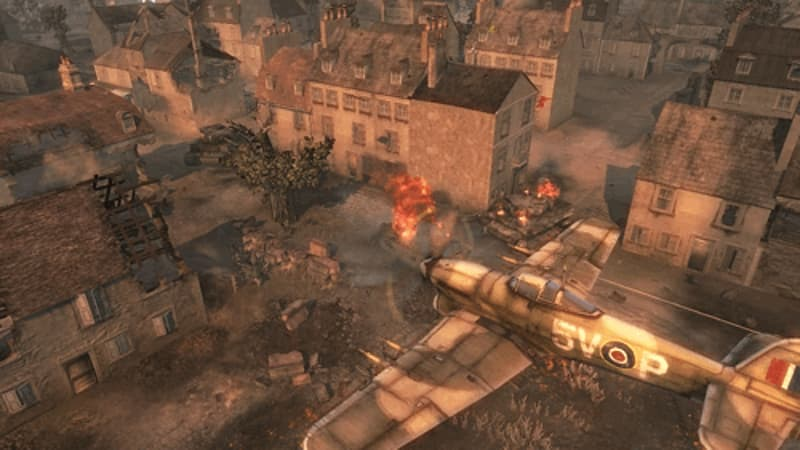 Players will aim, fire, and maneuver in real-time to capitalize on the changing battle conditions. Command New Units – New infantry and vehicles such as the Schwimmwagen and Staghound will be available. The Schwimmwagen is an amphibious, all-wheel drive off-road vehicle while the Staghound is a highly maneuverable 4x4 Armored Car. Conquer New Territory – New maps based on famous battles such as Villers-Bocage will be available for competitive players in the online battlefield. 3 New Multiplayer Modes – New multiplayer modes to experience with your friends. 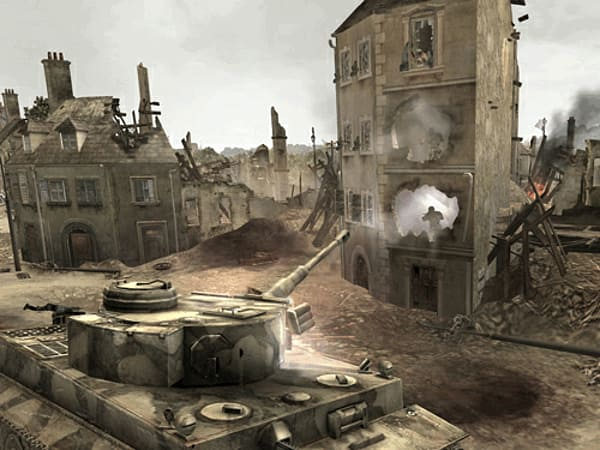 Become a tank commander and square off in Panzerkrieg, choose a hero unit and join the battle to push back enemy lines in Assault, or team up and defend against waves of attackers in Stonewall. Required for Multiplayer: Recommended System Requirements to support 6-8 player multiplayer and skirmish, Internet (TCP/IP) and LAN (TCP/IP) play supported. Internet play requires broadband connection and latest drivers. LAN play requires network interface card and latest drivers.